Welcome to KidZone! At Parkway, we are serious about kids knowing God! KidZone exists to see children glorify God and make disciples. At KidZone, we believe parents are the Spiritual Leaders of their Homes. The responsibility for a child’s spiritual growth rests in the hands of his or her parents. At Parkway, we walk alongside parents, giving them important tools and resources to mold their family’s faith. At KidZone, we believe children can know God in a personal way. 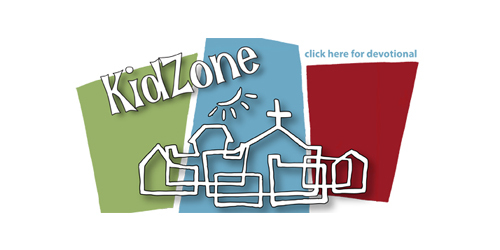 KidZone is a place where kids are provided an exciting, safe and loving environment to meet and know our Savior. At KidZone, we believe through God’s Power, kids can grow as disciples. By working alongside families, we provide ways for children to not only know God, but be transformed into mighty servants for His Kingdom. Click the image below for a devotional you can do with your child to help them understand what it means when we take part in the Lord's Supper during Worship.